Except for the obvious exceptions from the rules, men in general are quite practical when it comes to clothing: stuff has to be functional, practical, fit and suit their personal style. 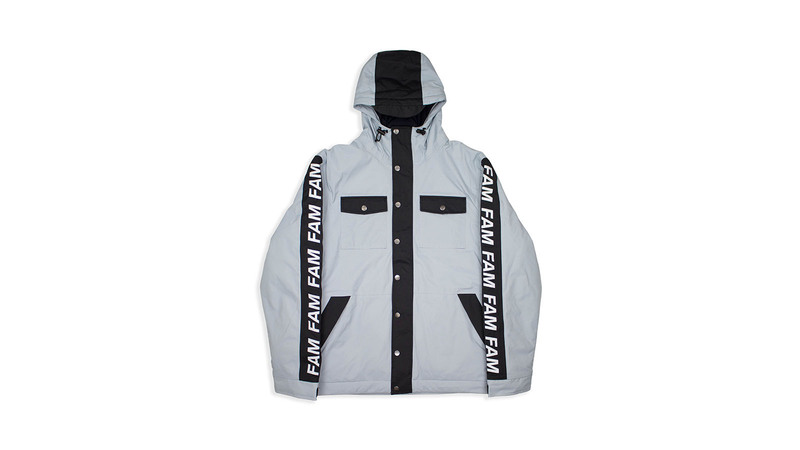 Overall, the Men’s Outerwear collections for FW19/20 follow these guidelines, with the typical action sports twists of course. Report by Anna Langer. 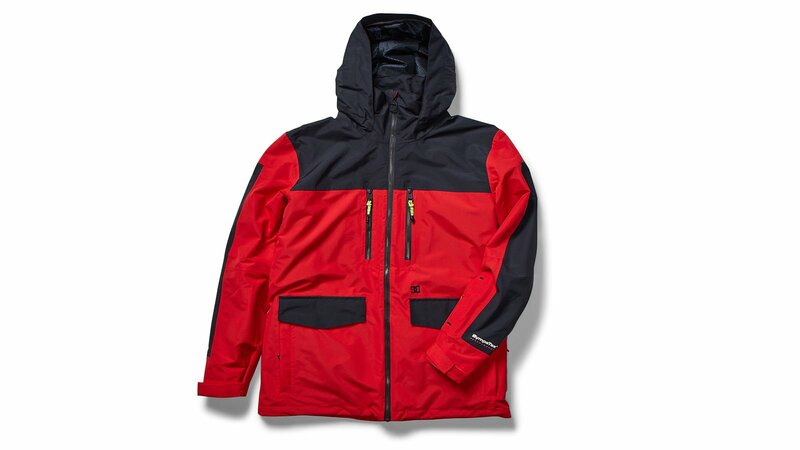 “Pullover snowboarding jackets are the trend these days,” say Nobady, and also for O’Neill all key jackets next winter are anorak styles: the Utility jacket with oversized pouch chest pocket, the Original Anorak with a more boxy oversized fit and the Gore-Tex Psycho Tech 3L Jacket designed for freeriding. 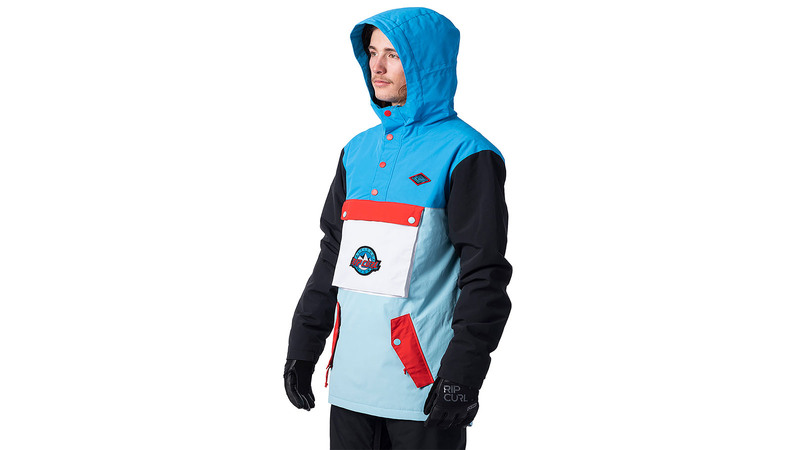 For Horsefeathers the Spencer Atrip Anorak Jacket is a key style since they added atrip apparel as Halldor’s Signature line last year, which is “inspired by early 90s snowboarding and the Snow Beach book horse.” Rip Curl feature the retro-inspired colour-block logo Primitive Jacket and Session sport a “fun throw back aesthetic” with their 10K shell pullover, the Chaos Jacket. 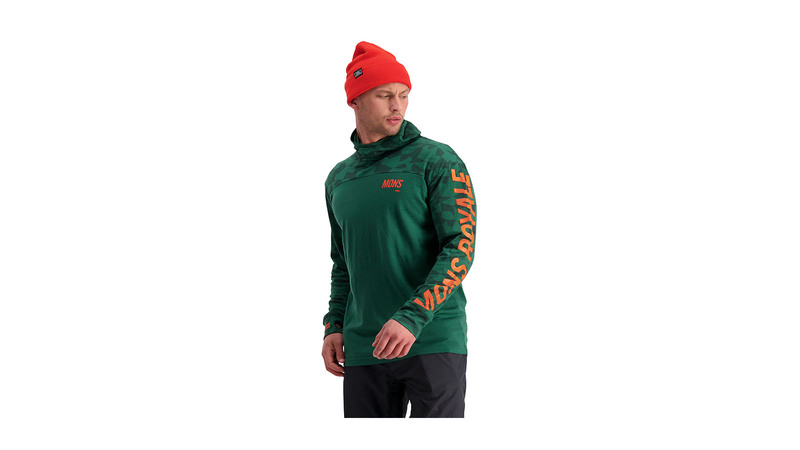 For the classic regular fit type, Burton add a “new Doppler Gore, an entry price point within the Burton Gore offering with a fresh, modern and young silhouette” to their line, next to the New Covert Jacket, a slim option of their most successful men’s jacket. Dakine promote their lightweight Gearhart 3L Gore-Tex Jacket with Gore-Tex C-Knit® backer technology (bluesign® approved) next to the lightweight Stoneham Jacket made from 2-way stretch nylon ripstop. For Bonfire the biggest story is their 3-in-1’s, a “snap-in liner system which lessens bulk and allows for the use of your powderskirt while the liner is still attached in your jacket,” for example in the Terra 2L Stretch 3-in-1 Jacket in TuffTech with stretch Cordura shell fabric. Serving the functional approach, Bib pants stay in style as much as in demand. Preferably in highly functional materials, like the 686 GLCR Gore-Tex Stretch Dispatch Bib, the O’Neill GTX 3L Bib Pants or the FW Manifest 2L Bib. 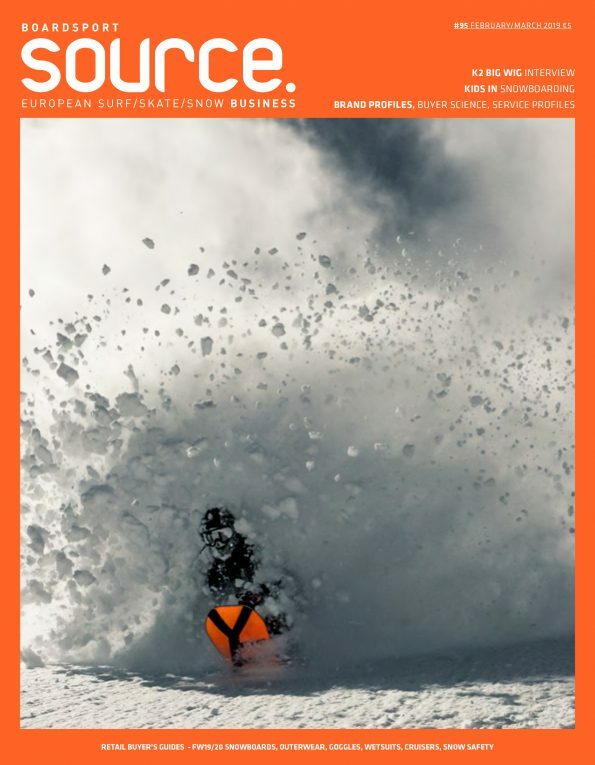 Outside of these trends, two pieces deserve a special mention: the only men’s one-piece by L1, the County, which mimics “a prison-style jumpsuit” and the Rip Curl Pro Gum Outfit that is a collab with Plum Splitboards and the first dedicated outfit for skinning. Bonfire state they have not created any new fits this season as they’ve concentrated on adding a youth program to their collection, featuring the “Grow With US system. This system doesn’t require cutting of seams and can be passed from one sibling to the next. We use an elastic pull and buttons to make adjusting the length of the garment easy. 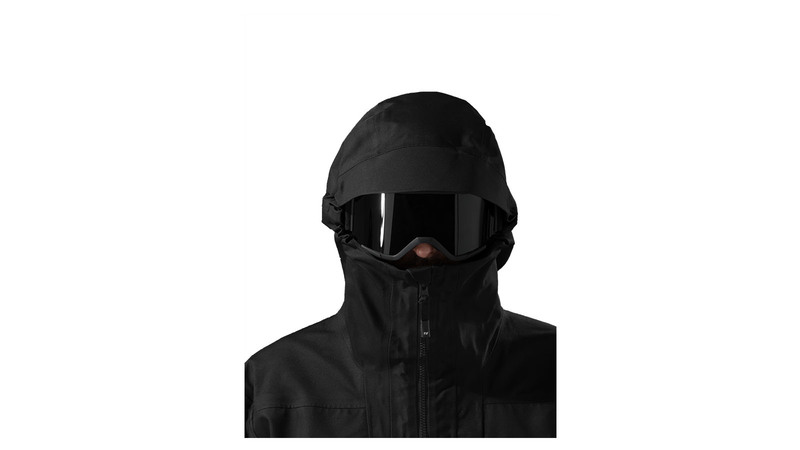 It can not only be let out – it can also be shortened to the original length allowing for use in multiple seasons,” explains Shasta Metcalfe, Outerwear Developer/ Line Coordinator. 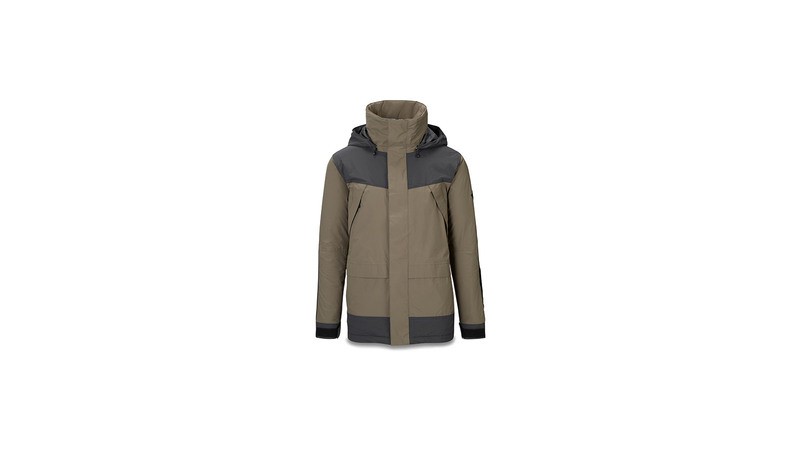 Volcom also bring Gore-Tex to their youth line for 1920. Not serving any more or less fast-lived trends, Picture Organic Clothing continue to stay fully committed to their long term goal: “Fight against climate change by ending our dependence on fossil fuels, including oil. That is why we this year we are again reducing the use of synthetic fibres in our outerwear collection, increasing the use of alternatives such as recycled polyester and bio sourced materials. This process does not only include production, but also packaging, shipping & travel,” says Co-Founder Julien Durant. Their main innovations for FW1920 are the first 100% recyclable membrane, Dryplay, and the first partially bio based membrane, Pebax® Renew®, that is featured in the new Harvest outfit and made from Castor Oil. Dakine focus on “sustainable materials that do not sacrifice on performance and durability,” updating their popular Sawtooth 3L Gore-Tex jacket and Stoker 3L Gore-Tex bibs with “bluesign® approved materials, a solution dyed, 100% recycled polyester tricot backer and a PFCec Free DWR finish,” says Amy Eichner, Senior Product Manager (Outerwear, Snow Gloves & Headwear). O’Neill used sustainable fibres for 33% of their FW1920 collection, working closely with Repreve for recycled polyester and FW feature Dermizax, an exceptionally waterproof and breathable 3-Layer fabric that has 30% Plant Based PET derived from bio-waste and is OEKO-TEX approved. Protest highlight their GeoGreen jacket, the Arram: “The GeoGreen series is clothing where authentic design is fused with new technology. The outer shell of Arram is made from polyester derived from recycled PET bottles – 40 to be exact,” says Ingrid Kalma, Head of Menswear Design. Horsefeathers use Clo Teknica Vivo Insulation in some of the high end ATP line jackets that utilizes eco fibres, also recycled from plastic bottles. Volcom are shouting about their “proprietary technologies Zip Tech, TDS (Thermal Defense System) Face Tech and Grow Tech,” and also have some interesting collabs with major players to talk of (see collabs). As it guarantees great functionality and durability, Gore-Tex continues to be very popular, especially in stretch versions that ensure a good range of movement for stylish tricks and comfy wearing. “We are seeing a strong response to Gore-Tex and stretch and have continued to add more and more of those into our collection” says 686 and also DC offer “more stretch in our fabrications overall as the functionality is a key attribute.” L1 feature 3 layer, 4-way stretch, 20k/20K fabric in their Theorem Capsule and Bonfire work with Pinnical Stretch as their new transition material, offering 4-way mechanical stretch. Rip Curl update their Pro Gum pant that is “inspired by trail-running backpacks with a mesh feature that allows the rider to carry all needed accessories (sunnies, sunscreen, food, water etc…) in a very accessible way, to avoid taking the backpack on and off all the time while touring. It also comes with an Aerogel pocket (Primaloft technology), to save your phone’s battery in the freezing cold,” says Edouard Cousty, Product Manager Mountainwear Europe. Team rider signature pieces add some more colours, “giving them a creative outlet to get exactly what they want,” says L1. Horsefeathers highlight Tyler Chorlton’s Jaffa orange jacket next to Halldor’s 90s mix including black, grey, yellow, bluebird, violet and white with “sick artwork by Schoph,” and Eiki’s “lining in the signature outerwear that is inspired by the colours of oil stains, and the effect is used not only in the interiors but also on the metallic logos, zippers or even the embroidery. Together with the decent Black Haze material looks fantastic!” says Tomas. Rip Curl use similar shades with black and grey camo, adhering to the biggest pattern trend for FW1920: camouflage. “Classic favourites like our new ‘Ashcroft Camo’ and ‘Tempest’ provide a more timeless look that pairs well with a variety of solid colours,” says Amy from Dakine and Horsefeathers name their Tree Camo that is inspired by bark as their most significant pattern. Bonfire offer a Slate and Yellow Camo, Nodaday pair Camo with Japanese printing and Sessions show Black Tiger Camo next to Cheetah prints, while Picture Organic Clothing sport Camo, Lofoten & mountain prints. 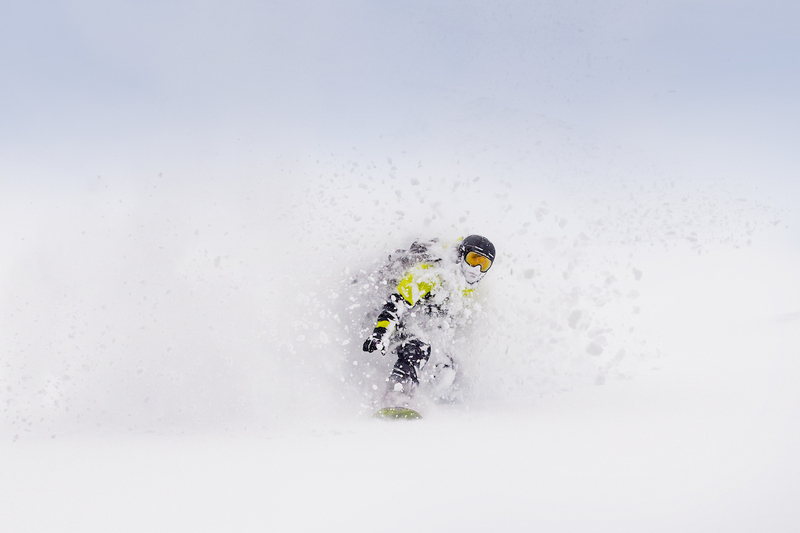 Customer connection and activation is generally split evenly between digital strategies, mainly social media like Instagram and Facebook, and real-life events like demos, pop up shops or snowboard organisations and clubs. DC find that “the average consumer is willing to spend more for highly functional, technical quality product” and 686 also continue to have “success with higher and higher price points with technical customers,” while also seeing “a strong response to growing the lower pricepoint range” this year. L1 Premium Goods expanded their collection in both the higher and more entry-level price points. “From a global standpoint it really varies country to country on needed price points and we aim to cover all the needs required,” says Jon. Similar to team rider’s signature series, collaborations are still playing an important part in men’s outerwear while they have more or less vanished from the women’s side. 686 have teamed up with The Hundreds, Primitve Skateboarding, Coal Headwear and Slayer, next to Forest Bailey’s Cosmic Collection. Horsefeathers are working with “three great artists we love. We are super happy about the Schoph artwork for the atrip line, Lucas Beaufort drawings for a couple of streetwear and accessories products and Cyrex Li snowboarding designs for t-shirts,” and Rip Curl are proud of their Madsteez Collab for the more park-orientated segment of their line. Volcom use their tried and tested ambassador Bryan Iguchi to celebrate their 20 years of snow outerwear (The Bryan Iguchi Stretch Gore Tex collection) and also enlist team rider, Pat Moore for a signature series. Base layers are the “fastest growing category” that Picture Organic see, saying a “new midweight style & base layers program”, of course made from “sustainable, durable, and technical fabrics” combining “eco-friendly materials and a well thought out design”. One of the most popular materials for base layers is Merino wool, in which Mons Royale and super.natural have specialized. The latter combine “the advantages of merino wool and synthetic fibre that perfectly complement each other, providing maximum comfort and functionality,” allowing their shirts and tights to withstand “regular wash up to 40°C – no need to put on a separate wool wash – and can also be put in the dryer.” Making their base layers ideal not just for riding but also for everyday life as well as other adventures. For FW1920 Mons Royale offer three different weights of base layers: “Alta Tech with rolled shoulder seams for a maximum backpack comfort and thumb loops to keep your sleeves under control, Yotei with maximum merino performance coupled with a relaxed fit and Olympus 3.0, with 250gsm our warmest base layer designed for big days in big mountains where temperatures do their best to cut your day short.” Using inspiration from their homes in Wanaka New Zealand, Innsbruck Austria and Whistler Canada they “design clothes for a mountain life and this is where we get our inspiration from. Fans and athletes are therefore a core inspiration as well.” Showing “striking colour stories and print patterns” and “full fabric prints and carefully curated clashes to bring a clear distinction to the range,” says Holger Blomeier, Sales & Marketing Director.